Lightning in ancient legends: For many years, people used to believe that lightning is a holy event which is related to gods that punish those people who disobey them. In the seventh century when Prophet Muhammad (SAW) was living, people believed that “Zeus” is the god of lightning, at that time the smartest man used to believe in these myths. The first one to study this phenomenon: The phenomenon of lightning was studied after the 11th centuries from the time of Prophet Muhammad (SAW) and in the 18th century. The most initiative scientist was a professor Franklin, who used his famous kite and he connected it to a metal wire and sent it up between the clouds, a strong spark was released when the electricity moved through the wire when it touched the ground! 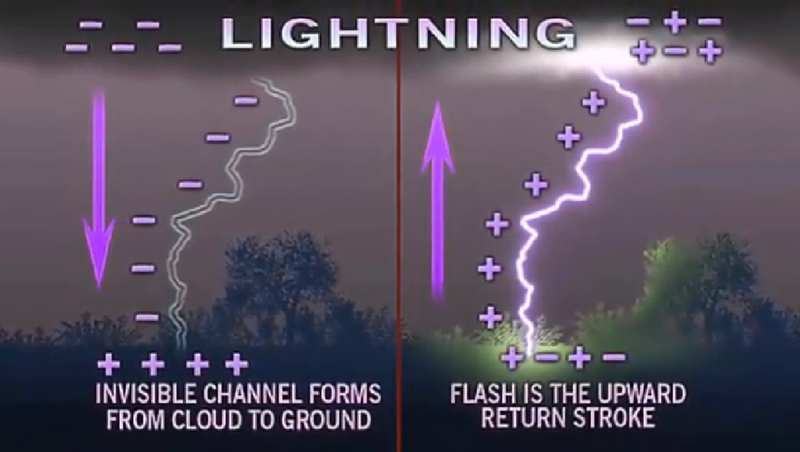 In this research we will see how Prophet Muhammad (SAW) talked precisely about phases of lightning as there is a complete conformance between his saying and recent discoveries concerning the lightning as recent scientists found that the lightning strike happens in a fractions of a second! This scientific fact was discovered by the use of an advanced camera which is able to capture one thousand photo per second. The question is who told our illiterate Prophet this scientific information 1400 years ago? For a long period scientists were searching for an answer about the secret phenomenon of lightning, but it was still rare knowledge. Just in the 20th century they discovered the digital camera with the help of which they were able to capture 1,000 photo per second which enabled them to understand some secrets about the lightning but details still unknown! 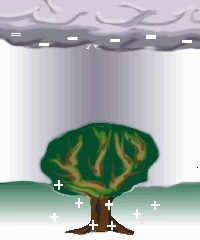 Scientists say that when the beam of lightning starts to release from the base of the cloud which is negatively charged towards the earth which is positively charged, the opposite charge meet and collision occurs and the lightning beam rushes with a speed of more than one hundred thousand kilometers per second. Also, scientists had found that lightning has many phases and the most important phases are going down phase and going back phase. 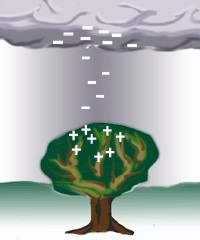 IARLG’s note: Do you see in the images above how the positive charges exist in the ground? Lightning is not limited to zapping just the ground; trees, people etc can also be zapped. 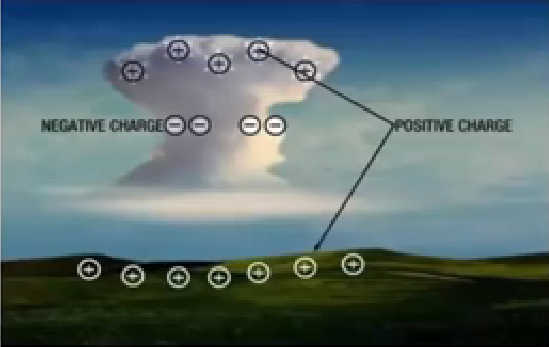 Lightning happens when the negative charges (electrons) in the bottom of the cloud are attracted to the positive charges (protons) in the ground. Scientists say that time of the lightning flash is 25 fraction of a second and this is the same as time of eye blink. Isn’t this the same as what our Prophet said 1400 years ago. After all of these scientific facts, we have to ask a simple question: How did Prophet Muhammad (peace be upon him) deal with this complicated phenomenon? Was he affected by all of the different myths and legends at that time? Prophet Muhammad (SAW) summarized how lightning forms. All of the above was summarized by Prophet Muhammad (SAW) in just a few words by saying: don’t you see that lightning comes and back in an eye blink.